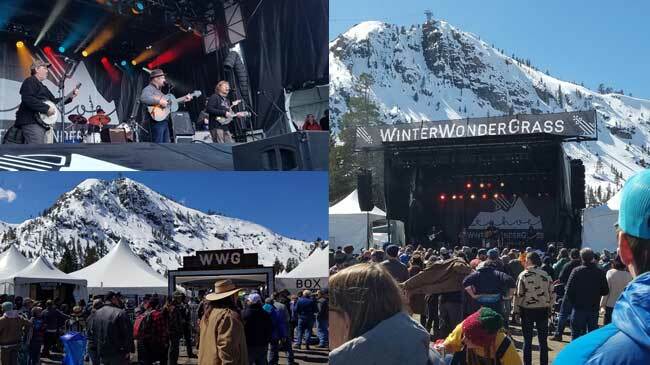 Squaw Valley, Placer County – A lighthearted quip delivered with a huge grin from Greensky Bluegrass Band member Anders Beck evoked laughter and nods of agreement during a casual, behind the scenes gathering at this year’s WinterWonderGrass Festival at Squaw Valley. The sentiment, however abstract, might just be the ideal summation of what makes WinterWonderGrass such an enjoyable and successful event. An outdoor music and beer festival in the high country during the winter season is a bold and wild idea even under the best of circumstances. The logistics, cold and unpredictable weather is enough to scare off most promoters. Thankfully for music and festival fans, the concept didn’t deter WWG founder, Scotty Stoughton from pursuing a unique vision in the ever-growing festival world. Scotty teams with the most passionate people and focuses on curating only the best aspects of festivals from his years of experience. Grateful fans trek and fly in from around the country to join the fun, weather be damned. Festival-goers are often overheard remarking about the efficiency and quality that’s simply on a different order of magnitude. An exceptionally run festival from every aspect, WWG delivers a wonderful experience. An efficiently run box office, rapidly moving entrance lines and a super-friendly Green Team taking constant care of the grounds in a Leave No Trace event, it’s clear even before the first band hits the stage, you’re in for a great experience. Going forward, expect to see more festivals taking their guidance from the WWG playbook. Once inside, fans were treated to three stages of music, a kids zone, coffee bar and plethora of first rate beers that included some local and regional favorites such as Sierra Nevada, Knee Deep, Belching Beaver, Seismic, Fifty-Fifty to a name a few. For those looking for something with a little more bite, fans imbibed some of Rocky Mountain based TinCup Whiskey. Food trucks and booths lined the perimeter with palate-pleasing eats that ran the gamut from crepes, pizza, scrumptiously spicy jambalaya and a variety of other tasty bites. In aligning with sustainability values, vendors served food on compostable products which reduces landfill methane, a much more potent greenhouse gas than carbon dioxide. WWG is a weekend of community and musical abundance that extends beyond the festival grounds. Fans of the strings were entertained with genre spanning sets that including bluegrass, folk, rock, country, blues and psychedelia. In between sets on the main outdoor stage, large warmed tents hosted lively sets, smartly located with the beer vendors. Pre and post show jams busted out at local bars and outdoors at Squaw Village. 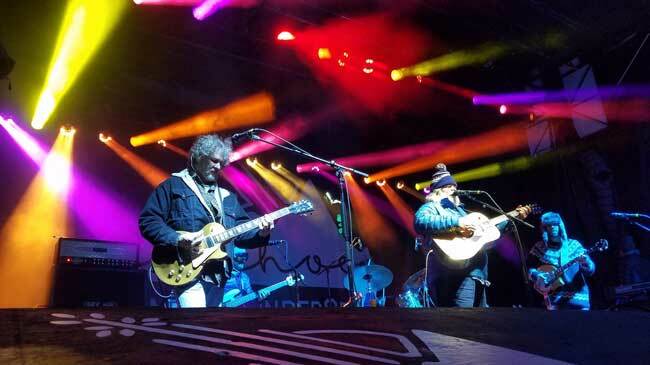 Headliners included Leftover Salmon, Greensky Bluegrass and Trampled By Turtles. In a tip of the hat to the festival’s inspirational roots, Pickin’ on the Dead opened WinterWonderGrass with a blistering version of the Grateful Dead’s Scarlet Begonias / Fire on the Mountain jam. 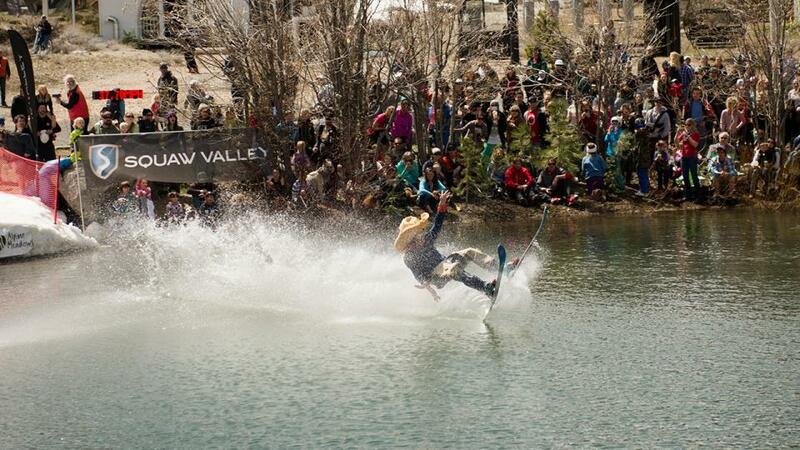 Originating in Colorado back in 2013, WinterWonderGrass now includes a series of festivals in Stratton, Vermont, Steamboat Springs, Colorado and Squaw Valley, CA. 2019 marked the first sold out shows for both Friday and Saturday. Our first adventure to WinterWonderGrass was a wonderful experience and as Anders Beck perfectly stated, “an absolutely crazy idea, executed perfectly”. We agree! Hope to see you next year for another WinterWonderGrass. 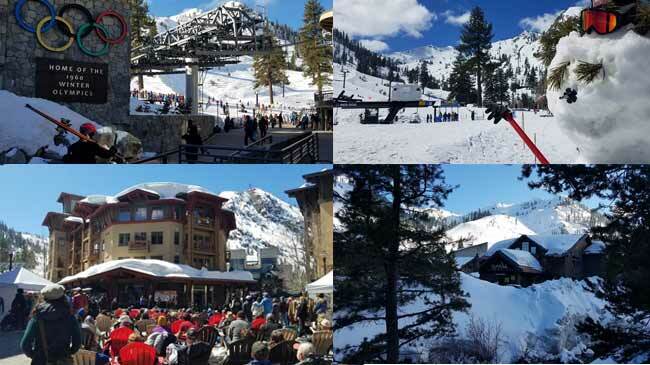 Enjoy slope side dining, drinks, music and epic scenery in the heart of Squaw Valley. About a 6 minute stroll from the venue. 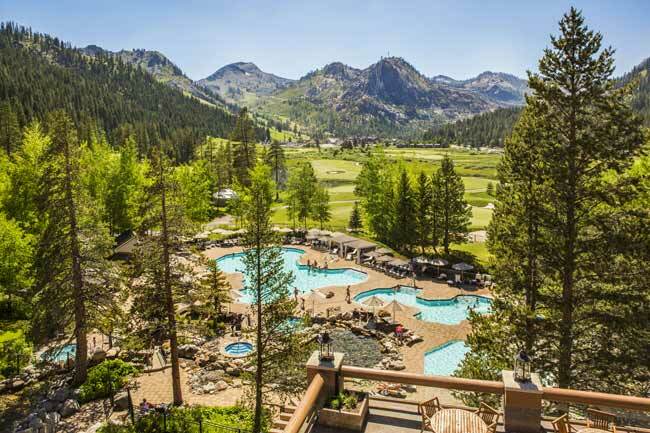 Amenity packed comfort. More info.